Everyday, Pickup: 7:30 at your hotel. Total Hike time roundtrip: Aprox 3:15 hours, distance: aprox 8kms roundtrip. 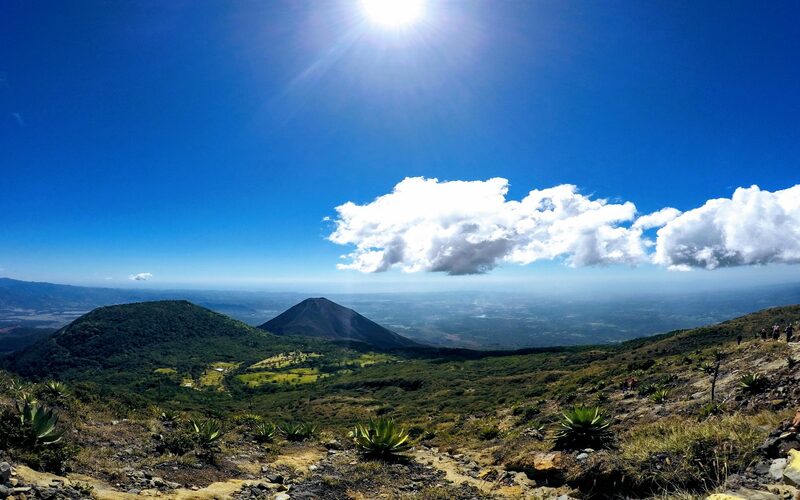 Hike an Active Volcano in El Salvador, the second highest point in the whole country, 2831 mts of pure Nature and Amazing views. Volcan Santa Ana is an active Volcano, its last eruption was in 2005. It was a big eruption, although not explosive, it threw lots of hot ash up to the air. The Volcano is also called Lamatemepec, which in indigenous language means "old man´s-mountain". The Volcan de Santa Ana is a stratovolcano, which means it has a conical shape created by several layers of hard lava. The Volcano has a crater of aprox 3 kms of diameter and 400mts deep. 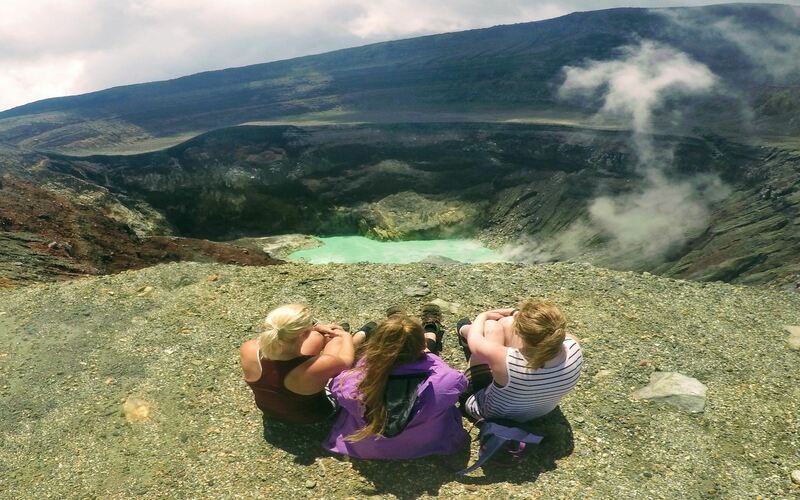 It is not possible to walk down to the lagoon inside the crater and it is not allowed to go around the crater. 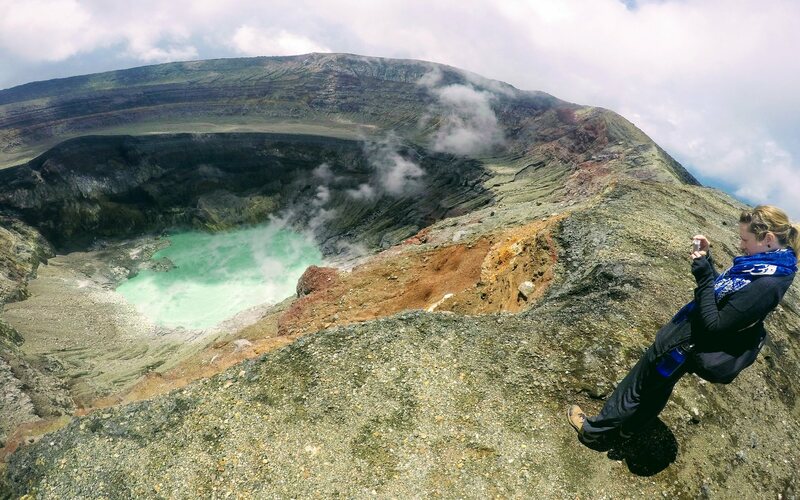 The Santa Ana Volcano Hike is a guided hike. You ascend aprox 500 mts , it is a little steep at some parts but majority of it is an inclination of less than 45 angles. The local guides give you around 20min to wander around the crater, but not too far away...then the walking back is through the same trail. The terrain of the Volcano is partially covered under the Evergreen Forest, the remaining part is rock and volcanic material with no shade from the sun. The trip starts from your hotel, we pickup in San Salvador, Santa Tecla, El Tunco and El Sunzal...or surrounding areas. We pickup aproximately at 8am. Then drive aproximately 2 hours to the National Park. The difficulty is Intermediate , the terrain mostly has a light inclination. We begin in the forest, around one hour under the shade and then as we begin to ascend, the shade is less and less until we start walking in volcanic rock and some sand...the terrain is firm and your guide is going to be there during the whole hike. 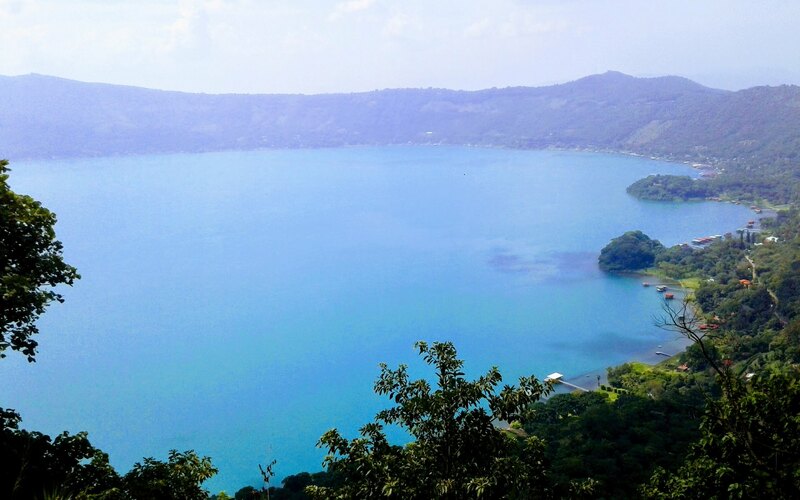 At the summit, we can appreciate views of the Pacific Ocean, the Route of the Flowers, San Salvador Volcano, Coatepeque Lake and many other landmarks. The local guides give us aprox 20 minutes for pictures and snacks. Then we descend the same way, we reach the bottom where our vehicle is going to be waiting for us. Then we depart back to leave you in your hotel aprox at 17:00. The hikes can be cancelled if electrical storms are near or if wind is too strong. Price for Day Trip: $85p/p. Includes Pickup and Drop off at your hotel, Santa Ana Volcano Park Fees, Bilingual Guide. Tour runs with a minimum of 2 people per day, please book it below. Cancellation Policy: No deposit is required for tours, but its polite to let us know of any cancellations.